As you may already know, the God of War Collection is now available in the US but has yet to see a European release. SCEE has now confirmed that the God of War Collection will be hitting Europe in 2010, but not in Q1. Europe has a long wait, but at lease this clears up any speculation regarding the European release. The actual date remains a secret for now, though. Dante’s Inferno is the latest game from Visceral Games, the creators of Dead Space. Dante’s Inferno is a third-person action adventure adaptation of the medieval epic poem The Divine Comedy by Dante Alighieri, and is expected to be a great experience for gamers. A playable demo of the game will be released on the PlayStation Network next month. Resident Evil 5: Alternative Edition, which was announced at the Tokyo Game Show ’09 will be heading to the west as downloadable content. Capcom has confirmed it has opted against a boxed product version following the results of its recent poll. Over 1500 participants voted for the content to be released as a digital download, compared to 900 who requested a physical edition. If you are still wondering on pre-ordering God of War 3, the announcement of the Ultimate Edition may sway your decision. Sony has revealed that the Ultimate Edition for GOW 3 will include a Sculpted Replica of Pandora’s Box, the game, exclusive digital content and more (see below). You can start pre-ordering your copy from Gamestop, Game Crazy and Amazon. Early preorders will also receive a voucher code to download the E3 of GOW 3. PlayStation Home will be updated to v1.32 tomorrow addressing issues in the current version of PlayStation Home. Originally, the update was supposed to go live today but has been pushed back by a day. The update will add three new game spaces: Uncharted 2, Tekken 6 and Street Fighter 4. The latter two will only be available in the US for the time being. As we mentioned earlier this week, the Uncharted 2 space will feature three mini-games. 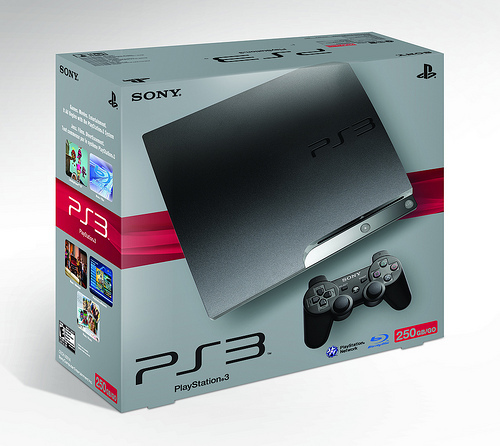 Sony Computer Entertainment of America has officially announced the new PlayStation 3 system with 250GB HDD. The new model will be available on November 3 for $349.99 USD. Sony’s new PS3 Slim model has sold well since its launch in September, and this latest 250GB unit will offer the same form and functionality as the 120GB model, but with a larger hard drive. Sony has sold some 1 million units worldwide in the first three weeks of its launch. Uncharted 2: Among Thieves has only been available for a few days now and already Naughty Dog are making additions to the game. Naughty Dog have revised one multiplayer playlist, and added two new ones. The ‘Deathmatch’ playlist has been revised, and consists of standard game types only (variants such as ‘RPGs only’ have been removed). Sony is promoting inFamous in Japan with a God of War 3 demo coupon. Japanese gamers can get their hands on the demo by redeeming the code on the PlayStation Store. The demo will be available to download from November 19th 2009 until February 2010. Unfortunately, there was no mention if the demo would also be available in the West. PlayStation Home will soon get two new game spaces for the upcoming titles Uncharted 2: Among Thieves and Ratchet & Clank: A Crack In Time along with personal spaces. Just like some of the spaces already available, the two new spaces will feature own unique looks and themes, along with mini games.